The Eric Johnson Space Administration’s Crew Return Vehicle. 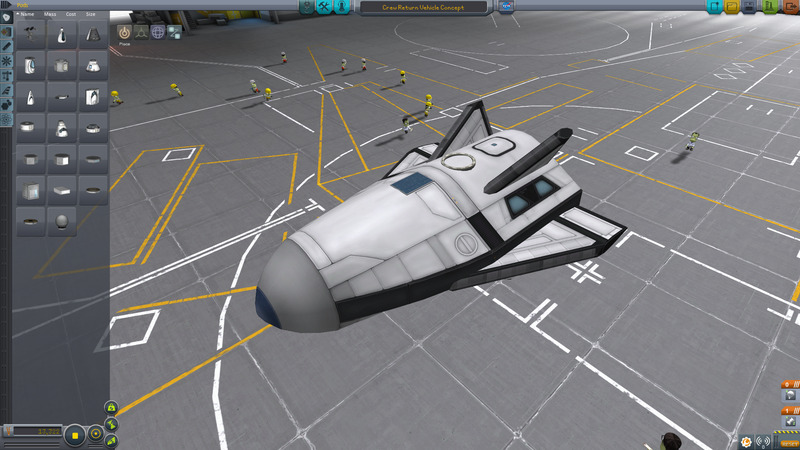 A lifting body escape pod designed to get 4 Kerbals safely back to KSC from potentially hazardous situations! Built in the SPH in KSP version 1.0.2.